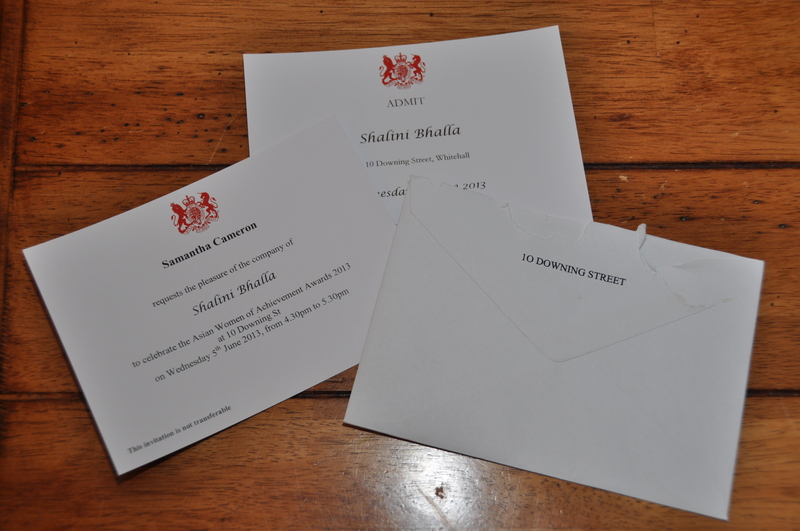 Wow – what an amazing experience I had yesterday visiting 10 Downing Street! Now every girl knows this is a dilemma at the best of times – but when visiting one of the most famous addresses in the world – the dilemma becomes one of epic proportions! Indian? Western? Business attire? Tea party – skirt/dress? Yikes – decisions, decisions, decisions!! So I did what every sane forward-thinking woman does! I posed the question to my friends on Facebook! Once at Waterloo station I decided (even though it was only one tube stop away) to get a cab! Just wanted to hear myself say the words “10 Downing Street please!” to the cabbie. Talk about coming back down to earth with a bang! 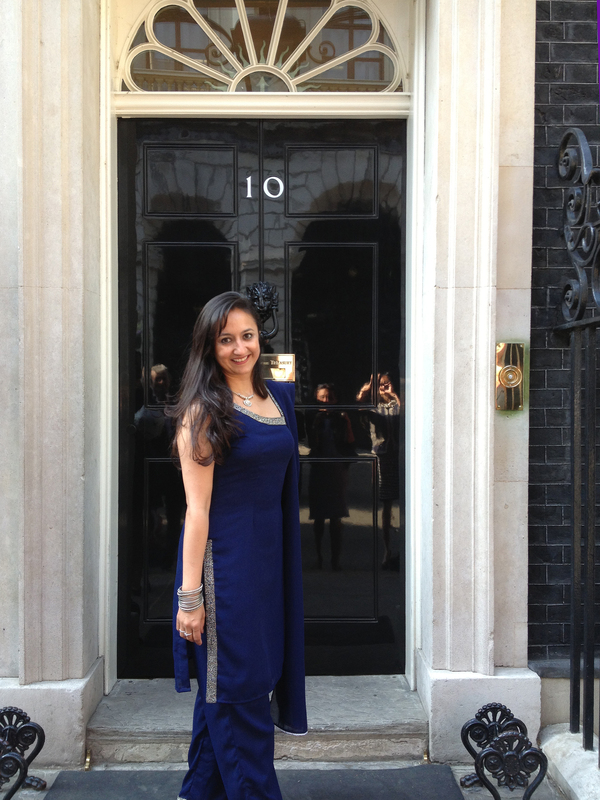 Walked up to the cabbie – confident – said “10 Downing Street please”. He didn’t bat an eyelid!!!! Probably has celebrities, ministers, well-known people asking him to drop them here, there and everywhere everyday! Oh well! There was quite a large crowd of people waiting to go in to the building. Apparently David Cameron was holding an event for around 100 small business owners whilst Samantha (oh yes – first-name terms) was hosting our group. A lovely lady called Rosemary met us at the gate and took us swiftly through the main gate and then security hut – where I had to remove my hundreds of silver bangles before going through the scanner! That held the line up! And then, before you knew it, there we were standing outside the famous black door with the No 10 staring down at you. Wow! It was amazing. Before we had time to take it all in we were herded in through the door – military precision – leaving our phones/cameras at reception – and then through to the Terracotta Room for tea! We were lucky to see some of these amazing paintings – worth £18 – 22 million each! And the green chairs we sat on are worth £200,000 each. The mind boggles. But it wasn’t just the grandeur of the place – it was the history. We were given a tour of some of the rooms by the Facilities Manager David Heaton – and it was amazing to see the architecture, ornaments, furniture – everything with a history of its own. David was so knowledgeable about each room, each painting, each chair – you could really hear the pride in his voice as he showed us around. David told us how it took a whole day to move each photo down the staircase when a new Prime Minister takes office – just so the new Prime Minister’s photo is at the very top! Our final stop was the Cabinet Room where the Prime Minister holds his meetings with all the cabinet – before being led back out to the main Entrance Hall which houses Winston Churchill’s favourite armchair – which is so old – that no one is allowed to sit on it in case it falls apart! People we met. People we saw. 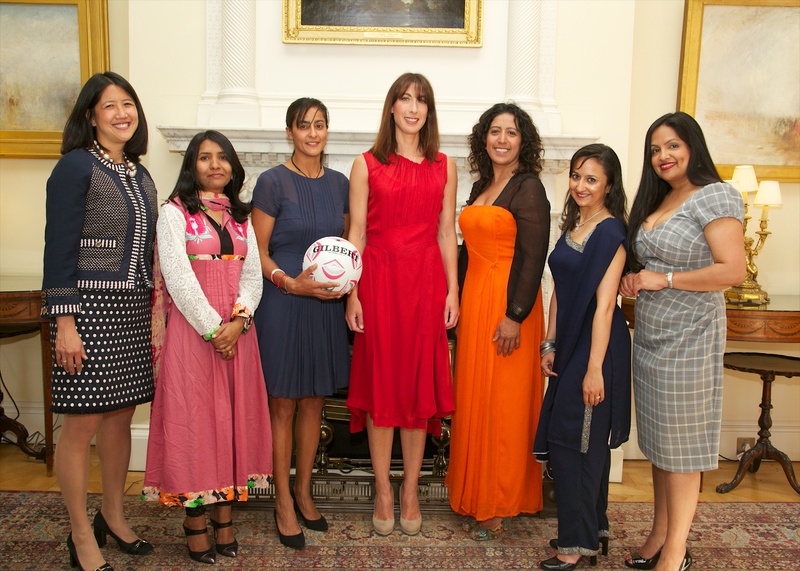 Samantha Cameron was a very gracious host. She spent about 30 minutes with our group – chatting to each one of us and asking us questions about what we did. I was really intrigued to hear what she said when I told her who I was and what I did. She said that her children had done Bollywood dancing as part of their sports hour at school the term before and had really loved it! For those of you who recall her husband’s rather un-informed comments about “Indian Dancing” on national TV last year you will probably find this as amusing as I did. And no, I did not challenge her comment – or ask her what her husband thought of their children doing Indian Dancing in school – although I would have liked to. After all, she is her own person – and just because David thinks something doesn’t mean she agrees! Although I did offer to go over and do a Just Jhoom! session with her and her children! That would be an interesting experience! We saw David Cameron from a distance giving a speech in the famous Garden – and also walking about we saw George Osborne, Vince Cable, other ministers and James Caan too as he left the building. It really was business as usual for all these people. But for me, it wasn’t. It was an experience that I feel privileged to have had. I really enjoyed myself – and as Michael (the policeman on duty just outside the door) will agree with me, we were like school kids having our picture taken outside the door. Me next, me next – ooooo one with bee hands please! Welllll…. who knows if I’ll ever get the chance again!!! And for those of you who suggested an Indian outfit – you were so right! Only 3 of us out of the whole party of 20 wore Indian outfits. 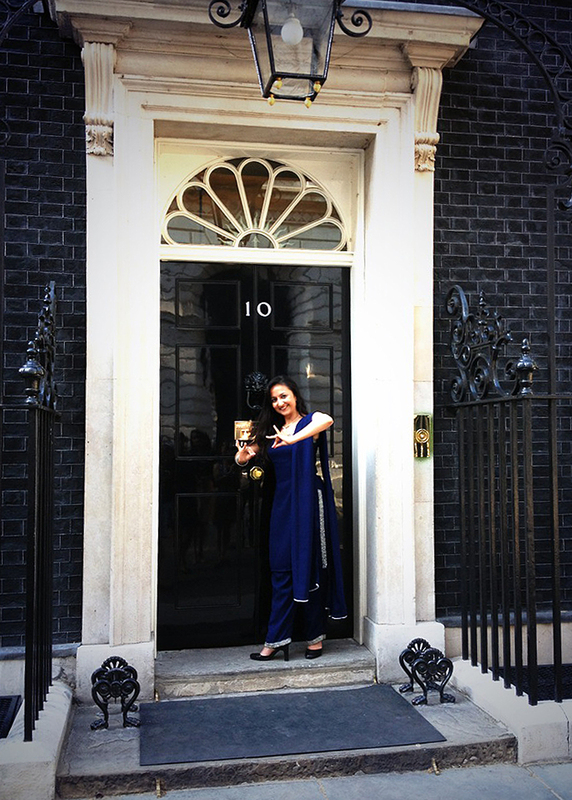 For me – I felt right in it, very at home – and proud to share my heritage and culture that makes me who I am – and Just Jhoom! what it is! Once again thank you to RBS, AWA, Pinky Lilani for this amazing opportunity – and to Gemma Nunn and Katie Allner at Caspian Media for their excellent organisation. And it was also great to connect with the other AWA winners. Looking forward to the next event!